Like most Ys titles, Seven is very light on story and characterization. It’s rather a throwback to 8 and 16 bit era RPGs in which you are given just enough of a plot to explain why you are going from Town A to Dungeon B or running a fetch quest and that’s it. In the case of Ys Seven, Adol and his friend Dogi have taken a ship to the Atalgo province. Surprisingly Adol doesn’t fall from the ship without his possessions like he has in previous games. Instead the two friends discover that this ancient lands is protected by five dragon gods who have chosen Adol as the savior of the region. It then becomes Adol and Dogi’s quest to find all the shrines/altars and collect the power so they can stop the nameless evil du jour from wrecking havoc upon the land. That really is all of the plot. Nothing is ever explained in depth, or often at all. Characters are as two-dimensional as it gets and no one ever really develops or gains depth as the game progresses. About 95% of the game is “Adol, the next dungeon is here. Go there.” Then when you go there, you meet new townspeople, get a new person to add to your team, go through the altar or shrine and gain the power while fighting a boss or two along the way. 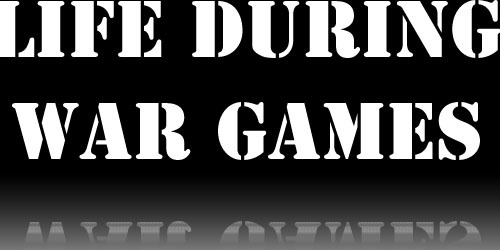 Repeat until the game is done. What little story there is is told so poorly you can see “the big reveals” coming a mile (or hours) away. It’s rather disappointing that there is no intrigue or hook to make you care about any of the characters, be they playable or NPCs. There are also some old faces from the Ys series appearing here but the game never bothers to explain that Adol might have encountered them before, any back story about them or even the slightest clue as to what makes said recognizable character important. In fact, Dogi is just kind of there for the ride and newcomers are never told who he, or even who Adol is and why they are friends or even important to the Ys franchise. As such, the entire thing comes off as exceptionally generic and almost half-assed. 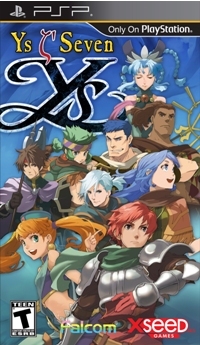 What’s here is fine for longtime Ys fans who have played fan translations or have imported titles, but it’s going to put off newcomers and younger gamers alike as neither Falcom nor XSEED’s localization even tries to explain what is going on, give a history of the world Ys takes place in, or give the game any real substance to motivate you to keep playing or care about the characters contained therein. The story here is basically the bare minimum Falcom needed to put in and XSEED’s dry and somewhat dull localization doesn’t help matters either. This is another example of Falcom hoping people will buy Ys Seven for the franchise name rather than putting any real effort into the game. This is a 2010 NA release, yes? Then why does the game look exactly like Ys VI, which we got in 2005? 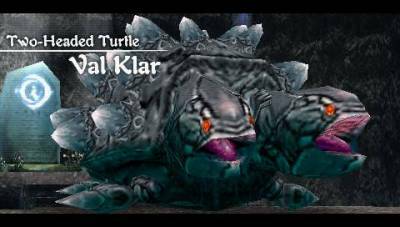 Monsters, backgrounds, character designs and just about every visual in the game looks dated and jaggy. I get that Ys is meant to have a retro feel and that Falcom tends to change the gameplay rather than visuals, but Ys Seven looks like a mid-generation PSX game rather than a late-generation PSP game. Now that doesn’t mean the game is ugly. Sure the monsters are uninspired and generic, and the graphic style unintentionally makes many of them look comical rather than like threats, but the backgrounds are pretty clean (aside from all the jaggies) and there’s a nice variety in townsfolk and layouts when you travel from one village to the next. The various dungeons are nice looking too, even if the graphics for water or lava/fire effects are downright terrible. 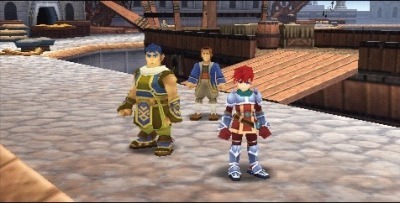 Again, like the story, this graphics of Ys Seven are something that can be enjoyed by longtime fans of the series as they are used to it and have come to accept Falcom’s being a generation or two behind what can be done on a system, but newcomers will find the game somewhat unappealing to the eyes and unsure if the game if purposely being retro, or the developers are just that unskilled. Now this is one thing Falcom does better than most companies out there. The score for Ys Seven is simply amazing, with each track capturing the essence of a high fantasy game. There is a collector’s edition of Ys Seven that costs twenty dollars more than the regular version, and in that collection is the game’s soundtrack. To be honest, that is reason enough to fork over the extra cash. The music is that impressive. It’s easily the best soundtrack I’ve heard on a PSP game this year and this should come as no surprise to other long standing Falcom fans. 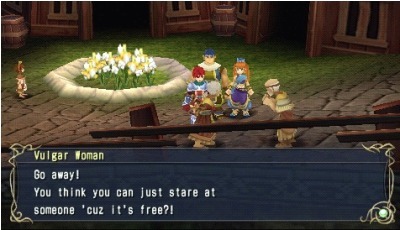 Speaking of longtime Ys fans, Adol might not talk in the game at all, but he does have a single line of voice acting. In fact, all the characters do. I admit I twitched a bit in surprise each time Adol “spoke,” because it was just so unexpected as he truly is the last remaining mute protagonist from the early days of gaming. Each character’s single line is decently done, but it makes you wonder why XSEED would pay for just a single line from a voice actor for each character. It’s just so obscure and weird that the logic behind it is lost on me. 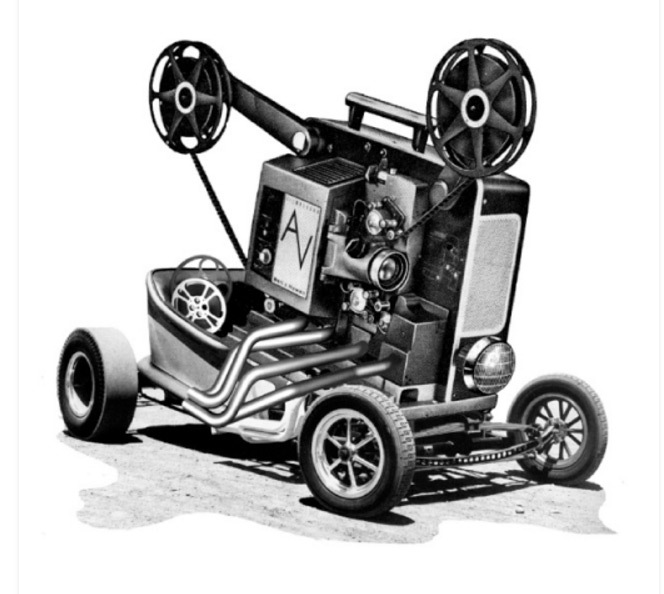 Sound effects are mostly forgettable. All weapons of a particular type sound alike, and there’s rarely any noises to be heard except for when you hit something or when something hits you. Some sound effects are pretty awful, like when you fall into lava. It sounds more like the noise sneakers make after being out in a torrential downpour. Very weird. Still, these odd noises are rare and the sheer quality of the soundtrack more than makes up for some of the other odd audio choices made in the game. Although XSEED has tried to sell Ys Seven as something far different from the average hack and slash dungeon crawling action RPG, that’s really all it is. 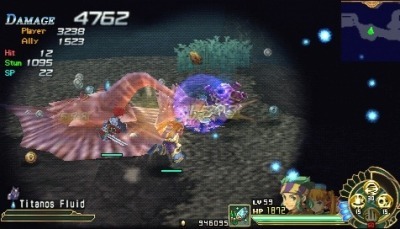 In fact, the game plays almost exactly like Shining Soul, a title released for the Nintendo GBA back in 2003, with visuals that are on par with Ys Seven as well. Hmm. 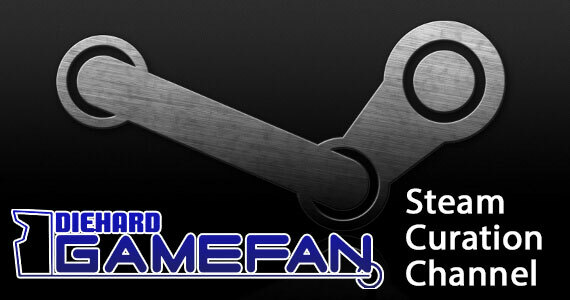 On second thought perhaps its more like the PS2 version of that game, Shining Tears, because in that game, as well as Ys Seven, you merely hack and slash your way through a game where the plot is merely window dressing for hours of button mashing and you press a button to flip between your character and your support. Ys Seven lets you have a party of three characters compared to the two in Shining Tears, so I guess that’s some sort of advancement made in the last five years. Now again, this doesn’t mean Ys Seven is a bad game; merely that it’s severely lacking in innovation or creativity. The game is a fairly fun hack and slash experience. Each of the four shape buttons has a single use. One attacks, one lets you dodge, one switches between your party members, and the other brings up a quick use menu for potions and other items. The start button lets you switch weapons, skills that you learn from using weapons and armour. It can also be used to switch party members on the rare occasion you have more than three people on your team. The right trigger can be used in conjunction with a shape button to trigger a special skill (the energy for which is stored as you use power attacks which are triggered by holding down the X button instead of tapping it) and the left trigger activates your super ex move ala Street Fighter which is charged by doing button mash attacks. That’s really all there is to the engine. There is no customization of your characters, any stat points to assign or anything like that. When a character levels up, points are auto-assigned and they just do a little more damage and take a little less from monsters. The only real customization is mapping skills to the shape buttons and unlocking them by equipping different weapons. This makes for a nice simple hack and slash experience. It might annoy those of you who like to have a degree of control over your characters’ progress, or who want a little more depth to their JRPGs, but for long time fans of the series, you’ll feel right at home and enjoy the ability to switch between characters on the fly instead of just playing as Adol all the time. The game plays well, it doesn’t suffer from slowdown and it’s a nice throwback to a simpler time when every character in an RPG just used a single weapon type and you lost yourself in the mindless fun. Ys Seven is a nice solid experience – it just happens to be a pretty shallow one. Ys Seven is really a one and done game. The title is exceptionally linear. The only real deviation you can get in the game comes from doing one of the twenty side quests (which are all either fetch quests or boss fights against things that you can’t do damage to until very late in the game) or by switching party members on those uncommon occasions where you have more than three people on your party. Even then there’s really no point. Take the Fire Shrine, for example, where your team is Adol, Dogi, Mustafa and Aisha. 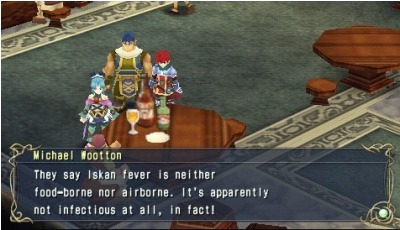 Well, Adol can’t leave your team and he’s the only one strong against fleshy foes. You need Aisha for aerial or winged opponents and that means you can switch between Mustafa and Dogi, both of which has the same strengths against enemies. However, since Dogi stays with your team throughout the game, and you know Mustafa is going to leave, why use him? Then take a look at both their stats and you’ll notice Dogi is better in everything. That just relegates Mustafa to a waste of space. Some poor decisions here by Falcom in the design process. No, there’s no real reason to play through Ys Seven a second time unless you utterly love the game or want to do something weird like only use a single weapon skill throughout the game or some other masochistic self-imposed challenge. I had fun with Ys Seven, and I’m glad I played it, but I honestly can’t think of a reason to ever go back to it. Once of the longstanding complaints about the Ys series is that the games tended to be pretty unforgiving. 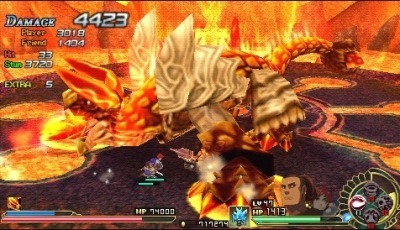 Whether it’s the unique combat gameplay style of the original titles or the fact it harkened back to the “you have to grind like crazy to beat the next boss – skill doesn’t matter” genre of RPGs, Ys Seven has nipped that issue in the bud. This game contains four different difficulty settings, each of which is drastically different. Easy is just that. I ended up beating bosses without dispensing with a healing potion. Meanwhile Nightmare was more akin to what you normally encounter in a Ys games. This shift in difficulty settings does make the game more accessible to a larger audience, while also giving longtime Ys fans the level of challenge they’ve come to expect from the series. There’s also the new gameplay function where each character is strong against certain types of enemies and weak against all others. This mean you’ll constantly be cycling through characters in order to do the most damage. It also means you’ll only ever want one character of each type on your team at once and because there is doubling (or tripling up), you’ll end up sticking with Adol and Dogi since the former can’t leave and the latter is always with you and has better stats than others with his weapon class, so using anyone else is a handicap. So again, the thought was there and it is sound in theory but Falcom’s final delivery leaves something to be desired. Overall through, Ys Seven is probably the most balanced game in the entire franchise, giving you an array of difficulty settings and characters to use. To be perfectly blunt, Ys Seven is about as generic as a game can get. It does nothing new, it tries nothing new and the game pretty much rests on the laurels of the franchise, such as they are. The plot is paper thin and is full of clichés from beginning to end. The characters are nondescript and you could easily insert generic names for Adol and Dogi and there would be nothing left to distinguish this as a Ys title. The gameplay is fun but simplistic and it’s about as bare bones as it can get. Again, Ys Seven is a fun game, but you can tell Falcom just kind of churned the title out like it was an assembly line production. It’s just kind of there and is easily forgettable unless you are a diehard fan of the Ys series. I know I’ve been hard on Ys Seven, but I’m a critic. It’s my job to point out the flaws and cracks in a title while also highlighting the good stuff about it in order to ensure you, the consumer, have a solid idea of whether or not the game in question is worth your hard earned money. That’s not something you can get from just talking about the good or the bad. It doesn’t help that Ys Seven is the first good game in the series to hit US shores since Ys III, and that was all the way back in 1991-2. That is nearly twenty years ago. It also doesn’t help that Ys VI was mediocre or god awful, depending on which system you played it on, and that Atlus brought over a horrible remake of the original Books 1 & 2. 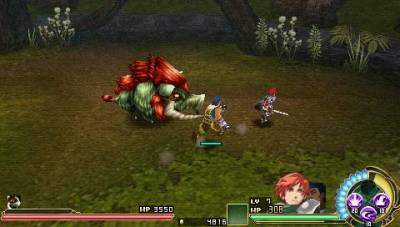 Because the Ys franchise has little to no name value in the US, save for retro gamers or importers, Ys Seven is bound to be passed over by all save those familiar with the series (and still enjoy it) or people who are looking for a new RPG for their PSP, especially those poor PSP GO owners. They should be thanking XSEED for having this on the PSN Store a day before the UMD version hit actual brick and mortar shelves. Really, what it boils down to is that Ys Seven is a niche JRPG at best. A lot of gamers will find it to be behind the times in plot, story and gameplay – finding it a bit too simplistic for their tastes. Others will actual praise the game for that same simplicity or marvel at the incredible soundtrack. Ys Seven isn’t going to break any sales records here in North America, that’s for sure. It’s a fun game, but one that will only be enjoyed by a small cross-section of RPG gamers. However, since XSEED is bringing over yet another remake of Books 1 & 2 and the Ys III remake, this could be the beginning of a US renaissance for the series. Of course, longtime fans are still waiting on an English version of IV and V… just saying. I want to say thank you to XSEED for doing a great service to the Ys series. It’s great to see the series back in top form after a few misfires here in North America. I’m also really happy to see that the game was available in three forms: as a digital download, a regular UMD and the quite awesome collector’s edition that will make any long time fan of the series ecstatic, even if they don’t like the game. The game certainly has its flaws and its obvious Falcom hasn’t been able to keep up with the times, but playing Ys Seven definitely brought back found memories of my days with the Turbo-Grafx-16/Turbo Duo and I can’t ask for much more than that. At thirty dollars, you will get your money’s worth out of the game, and at fifty dollars, the collector’s edition will be worth it to longtime fans but a bit of a waste to those that are new to the series. At the end of the day, I’m really happy XSEED has decided to invest in the Ys series and Ys Seven is like the majority of games in this franchise – solid, but unspectacular. 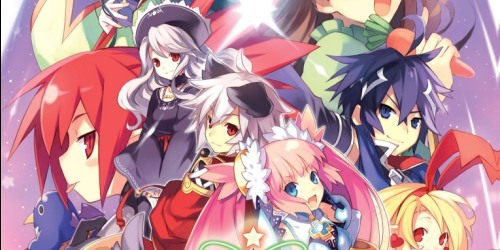 God knows they’ll do a better job than Atlus or Konami did. Ys Seven is the latest entry in Falcom’s most famous series… even though only a fraction of the games and their plentiful remakes have hit US shores. Ys Seven itself isn’t graphically impressive and the plot is little better than pabulum, but it boasts one of the best soundtracks of the year and the gameplay is solid, if simplistic. Fans of the franchise will definitely enjoy the game while newcomers will find it a bit lacking. Either way it’s a fun game well worth experiencing, but there’s no denying it’s a niche game that will have an uphill struggle trying to find an audience. It’s quaint but forgettable so for those of you on the fence about buying this, get the UMD version so you have the option to trade it in if need be.